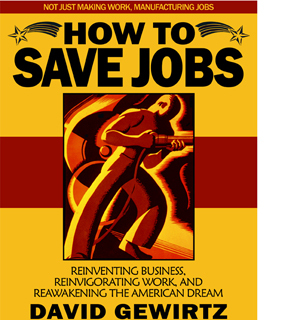 Editor's Note: This article continues our multi-part series excerpted from the "Healthcare Hostage Crisis" chapter of AC360° contributor David Gewirtz's upcoming book, How To Save Jobs, which will be available in October. To learn more about the book, follow David on Twitter @DavidGewirtz. Our earlier discussion of the insurance mess, of course, leads us to the push for reforming health care. Americans are getting systematically ripped off by our own medical establishment at levels that almost defy comprehension. Since the American health care industry is far larger than any other industry in America, and America has the largest economy of any country, that makes the American health care industry the largest industry in the world - and the single largest economic interest bloc in the history of mankind. So, as you might guess, the members of the health care industry aren't as interested in reform as those of us who aren't siphoning off an excess trillion dollars a year from the American populace. You might think that the prestigious American Medical Association is a scientific organization representing the nation's best healers. And while the AMA does have a membership some 250,000 physicians strong, I believe it's anything but a scientific organization. In fact, the AMA is one of the leading lobbying organizations - fighting tooth and nail to keep the status quo. The AMA does not believe that creating a public health insurance option for non-disabled individuals under age 65 is the best way to expand health insurance coverage and lower costs. The introduction of a new public plan threatens to restrict patient choice by driving out private insurers, which currently provide coverage for nearly 70 percent of Americans. The group has historically had a strong lobbying operation, supplemented by generous campaign donations. Since the 2000 election cycle, its political action committee has contributed $9.8 million to Congressional candidates, according to data from the Federal Election Commission and the Center for Responsive Politics. Republicans got more than Democrats in the four election cycles before 2008, when 56 percent went to Democrats. $9.8 million is a very small price to pay, when trying to preserve a $2.4 trillion windfall that pays out more and more each year. Overall, health care PACs have given an average of $482,870 to Republican senators and $407,979 to Democrats. There is a larger discrepancy, however, when the contributions are taken as a share of overall campaign funds - the average Republican senator has gotten 3.6% of his funds from health care PACs, while the average Democrat has gotten 2.1% of hers. Senators in favor of a public option have received, on average, $335,308 or 1.8% of their total campaign contributions from health industry PACs. 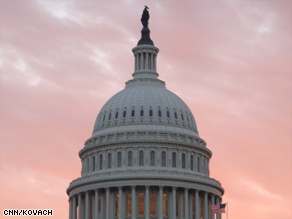 Senators opposed to it have received an average of $486,629 or 3.5%. Undecided senators have gotten $530,968, or 2.9% of their total campaign funds, from health industry PACs. The big issue, at least as I write this, is something called the "public option." The idea here is that citizens can choose to buy their health insurance from commercial insurance companies - or they can somehow get it from an as-yet unformed federal insurance program of some kind. Proponents claim the public option will provide economies of scale and bargaining power that no other option will offer. Opponents in the insurance, pharmaceuticals, and health care industries claim it will create a situation of unfair competition, making life harder on the health care industry providers as a whole. Based on my analysis in this chapter, the health care and insurance industries in America need a reboot. As we've seen over and over, Americans are getting screwed instead of getting healed. But if all we're doing is adding one more big insurance operation to the mix, we're missing something really fundamental. The whole concept of insurance isn't working here. Insurance is basically a bet against yourself. You're paying a certain amount each month, betting against the house that you won't get sick. But the people you're paying, the insurance companies, don't have their interests aligned on your behalf. Insurance companies are the house, and their bet is that you will spend more than they have to pay out. And, like every casino in Las Vegas, they stack the odds far in the favor of the house, not the gambler. It's very strange. Throughout most of America, gambling is illegal. But for the single biggest industry in the history of the world, we're all gambling. Right now, we're all losing. Author's note: As you have seen, this is a very scary topic and unless something is done soon, America is in a deep world of hurt. Write, call, email, Twitter, and otherwise let your elected officials know that not only won't Americans stand for being ripped off by wildly over-priced healthcare, as patriotic Americans, we know the health of the country's citizenry is essential to the health of the country. This situation must be fixed, and while the health care industry wants a seat at the table, the needs of Americans must come before the extreme profit demands of an industry already raking in obscene profits at the cost of our very lives.